Bet you didn’t know that arguably the best biking and running path–after the Lakefront–is right here in West Rogers Park. I once didn’t, and I lived two blocks away. Or maybe you noticed bikers and runners heading under the Lincoln Avenue bridge while you were stopped at the light on Kedzie. But did you explore that path all the way to Lawrence Avenue? Back when we lived on Kedzie, come summer time, I actually lived on that path once I found it. Some days, I ran there, biked with our kids there and picnicked in the park there. From Kedzie to Lawrence, the path is seamless, going under bridges instead of crossing streets. There are parks all along the way and much more. Today, I even saw wild raspberry bushes. And did I mention there’s swimming and a splash park there too? And the pool is FREE? I made it back to that path today for a run, and now I can say it really feels like summer for me. If you’re in the Chicago area, get your family over there with your bikes. Don’t have a bike? We do. 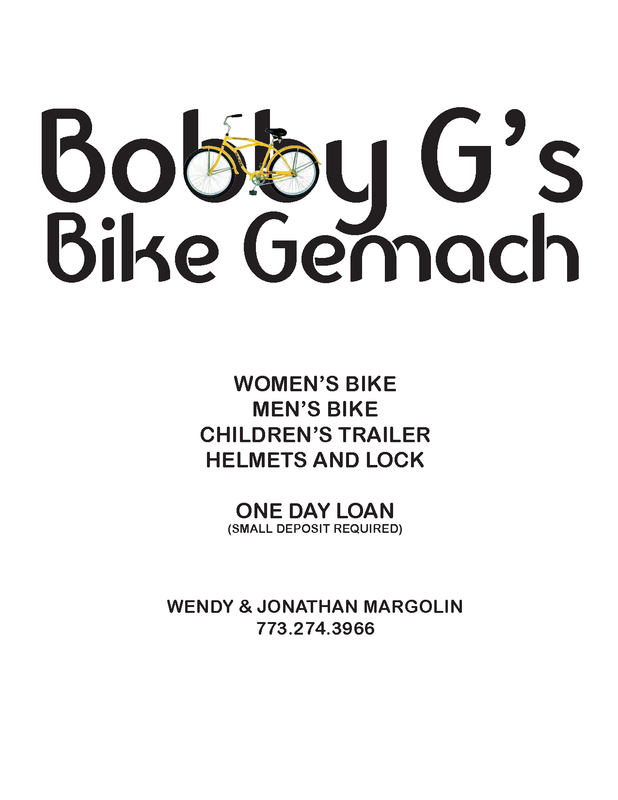 We’ve got a bike gemach at your service. Northshore Channel Trail. Pick up the trail where Kedzie Ave. meets Lincoln. It’s on the right side of the street and runs along the river straight to Lawrence Ave., going under a bridge at every major street. There are playgrounds along the way, and even a splash park and free Chicago swimming pool. Check out their schedule here.